I’m not sure if politics are truly getting worse, or if I’m just now paying attention to it, but I’ve noticed a lot of flaws in it lately. 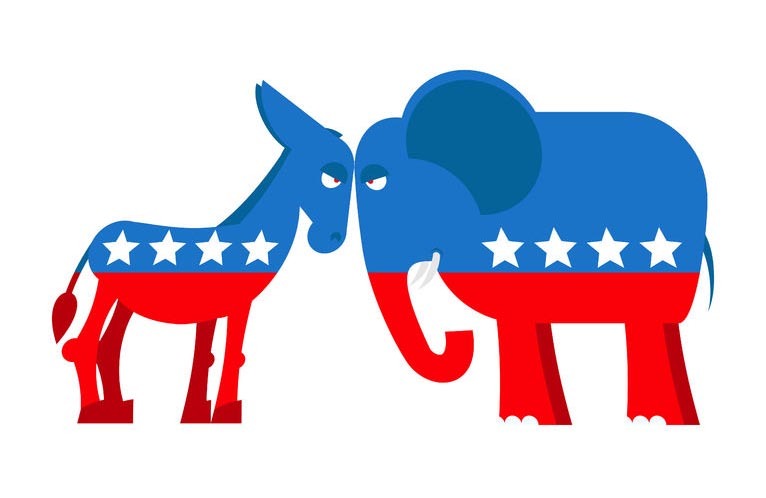 People think that they can only agree with the political ideology of one party. They think you’re either all in or out, but that’s far from the truth. Most people aren’t going to agree with every single policy of one party; it’s also common to adopt the social ideology of one party and the fiscal ideology of another. As well, when siding with a political party on a topic, they think they have to agree 100%. Democratic and Republican make politics very black & white when in reality there’s a lot of gray areas. It’s okay to not agree with either side. We listen to respond and not to understand. This is true not just in politics but proves to be a major issue in regards to politics. When trying to discuss opposing views, no one seems to truly want to understand the other side’s reasoning. Understanding doesn’t have to mean you agree with their views. My biggest problem with politics is name-calling. There seems to be so much name-calling from both sides nowadays, and I’m not sure why. When you end a political statement/opinion with an insult, all respect and credibility are lost. You aren’t helping your side, you’re hurting it. At the end of the day, politics are nothing more than opinions. There is no one right or wrong answer. I am from North Carolina.I am currently a junior majoring in Marketing at UA.